Several studies indicate that taller women have an increased risk of breast cancer. 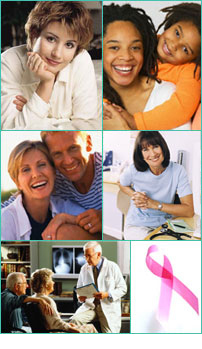 One report on many women found that women over 5'3" have a slightly higher risk of breast cancer than women under 5'3". One reason for this may be the growth spurt that tall women can experience in their youth. Such growth spurts can open the opportunity for damage to breast cells that can lead to cancer later in life. Remember, height is only one of many factors influencing risk. Just because you�re are 5'8" does not mean that you are more likely to get breast cancer than your best friend who is 5'0".